This is Part 2 of our Colic Series. If you missed Part 1, you can read it here for a basic overview of equine GI anatomy, the difference between medical and surgical colic, and some colic causes. Today, we’ll be talking about planning for colic, costs of colic treatment, and some of the more common causes of colic we see here in Colorado. Colic is an issue that we as horse owners and veterinarians just have to live with. 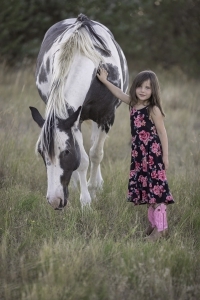 If you own horses long enough, you will eventually get to deal with a colicky horse (hopefully just a little medical one), and knowing how you are going to handle the situation can ease the stress and panic of the situation. You should have this conversation with both your veterinarian and your family. With your veterinarian, you should discuss knowing when to call and how urgent the situation may be, as well as the kinds of information your veterinarian is going to need from you – things like temperature, heart rate, respiratory rate, discomfort level, etc. 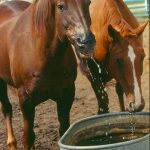 Your veterinarian can guide you in how to get this information, and how to prepare before colic occurs with anything you might need, such as a thermometer and a knowledge of your horses’ baseline vital signs. Your veterinarian can also talk you through the escalating steps of colic, and the probable outlook for your horse in each. 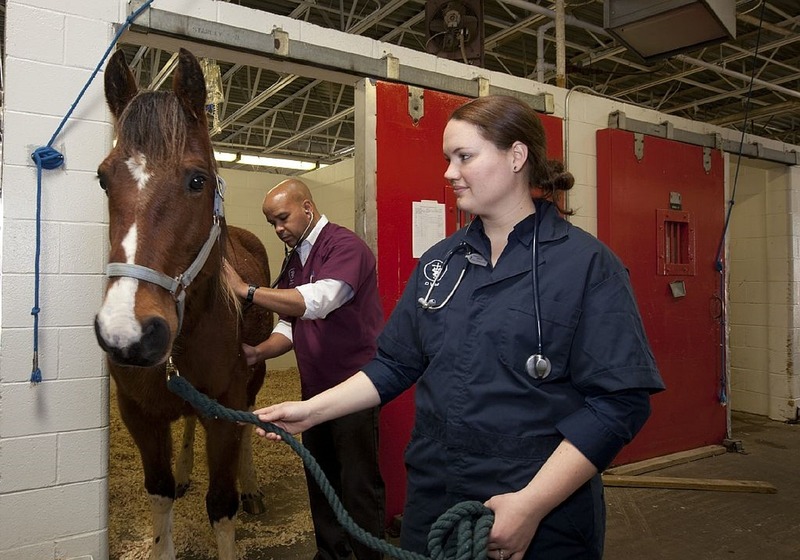 For example, if your horse needs hospitalization, what would that entail? If your horse needs surgery, what are their odds of survival, and their ability to thrive after surgery? Different scenarios can mean different long-term outlooks. Some surgical intervention is minimally stressful on the horse and has a very good long-term outlook, while some surgical interventions may involve cutting away dead tissues that could affect your horses’ long-term survival in a negative way. You should understand what these scenarios would look like, and what your decision would be in each. Hopefully your situation would just be a simple medical colic that is treatable in the field. But there could be occasions when your horse will need more help than we can give in the field. 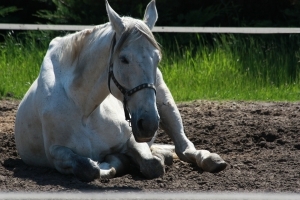 If your horse needs hospitalization, that doesn’t necessarily mean surgery, but it could. 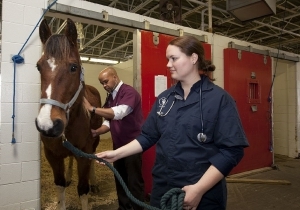 Would your horse be a candidate for hospitalization and supportive care? Would your horse be a candidate for surgical intervention? You must know your limits both financially and emotionally. Each of these can be progressively harder on the horses, but also on your budget. Each of these steps can cost significantly more than the one before, and as much as we’d like to not have money be a factor with our horses’ care, the brutal truth is that it is. Surgical intervention can cost upwards of $10,000. A hospital stay can be over $4,000. Can your budget handle these large expenses? As with most things “horse,” planning is crucial. It is far easier to have discussed and planned before the crisis occurs. At the time of the colic, emotions run high, and emotion-based decisions, whatever they might be, can be regretted. Here at MVS, the vast majority of the colicky horses we see are “simple colics.” Usually there has been some kind of change – feed, environment, even weather. These changes can lead to “spasmodic” or “gas” colic. In essence this is “indigestion” in the large fermenting portion of the colon. This indigestion causes cramping and discomfort, which present to us as “signs” of colic. Left untreated, the horse may quietly work his way through the issue, with no assistance. Alternatively, the situation could worsen. There is no way to know which direction each individual horse or individual episode will go. Here in Colorado, worsening is often due to dehydration. Because of the gut pain, the horse is not eating, and in most cases they are not drinking either. Dehydration, along with the “indigestion,” can lead to impactions, the second most common type of colic we manage here at MVS. An impaction is essentially constipation. The drying out of the body due to dehydration dries out the contents of the gut, making it more difficult to pass manure. As the gut tries to move this mass, it creates discomfort. Impactions generally take a little more care and time to get through. The more severe colics are the exception rather than the rule. These horses look far more uncomfortable, and need more medical help. These more severe cases are usually the displacement colics we mentioned in Part 1, and should be quickly referred to a hospital so the horse has the best chance of survival. Waiting only runs down the horses’ energy reserves, strength, and immune system, making it that much more difficult to survive a surgical intervention. 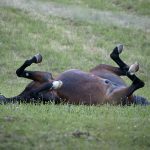 Any colic we as horse owners or veterinarians face can be daunting, but thankfully, with quick response and appropriate attention, most can be quickly squelched. Stay tuned for Part 3 of our colic series, which will focus on what we as horse owners and veterinarians can do to help prevent colic episodes.